The primary motivation was because I needed a matrix keyboard for my Jupiter Ace. I also wanted to make the RC2014 less reliant on having a laptop attached in order to use it. Combining these ideas wasn't a huge stretch of the imagination, and extending it with the ability to act as a USB keyboard too was fairly trivial. I haven't seen anything else on the market that fulfills what this keyboard does. It is very adaptable and easy to program. 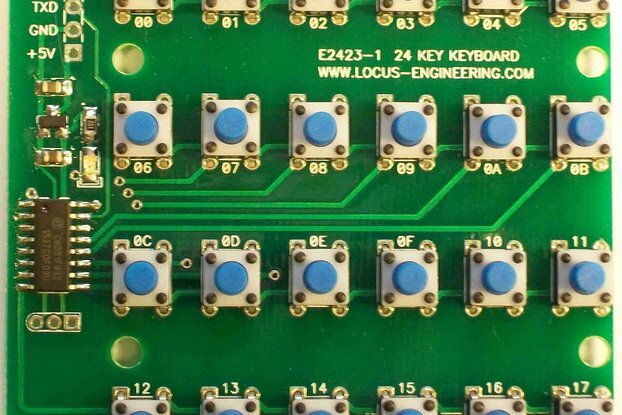 As a matrix keyboard, you can connect it to any micro that has at least 13 pins of I/O available to use in your project. It is also the same layout as the Sinclair ZX81, ZX Spectrum and Jupiter Ace. It will also work with the Minstrel ZX80 Many other retro computers of this vintage use a similar layout so it can easily work with those too. 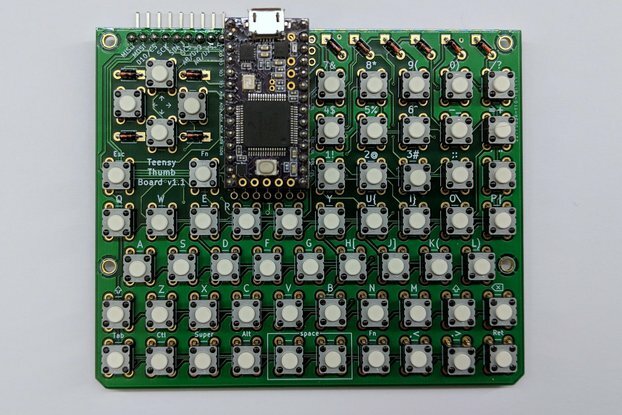 As a serial ASCII keyboard, you can connect it to any device that wants a serial input, ranging from any micro controller,Raspberry Pi, PC/Laptop with FTDI lead, network equipment, and, of course, RC2014. This option uses an Atmel ATMEGA328 (Arduino Uno) as the controller, and, as such, is easy to program, and easy to modify if you want different layout or baudrate etc. As a USB Keyboard you can plug it in to any PC, laptop or tablet (which supports USB keyboards) and it'll show up and work as a regular keyboard! You will need an Arduino Pro Mini, and please be aware that the footprint on the PCB is actually too narrow to line up properly. You will need to order this as the Matrix option or PCB option, and make appropriate adaptions for the Pro Micro to fit. Whilst the tactile feel of the keyboard is great, seeing what the keys do isn't that easy. I have put some files up on Thingiverse so you can lasercut a case from plywood or acrylic. With a printed and laminated top this looks and feels great! PCB only Yup, you guessed it. Only the bare PCB! The RC2014 are shown in the photos for reference only and not included in this sale. I was so happy when i got it as Christmas present , i have learn a lot , the computer work perfect after debugging about 2 days i recommend to improve the documentation witch exist online but is confusing and describe all the versions in one article and mix all together and the reader have to figure witch is apply for his item. Will be great to include a serial cable to connect with computer. i didn't finish yet the keyboard since i have limited time for my hobby. All in one is a great idea and i recommend to everyone witch want to better understand how computers work and how different parts is connected and work . About the keyboard i,m not sure if i got the right one because my have only pcb case keys some diode and resistors but not the I.C. i have not time to search how to connect with my computer and i think also i missing cable for connection . Hi there.I haven't powered up the system yet ,but I think it would be better coming with a Keypad Overlay.I have tried to contact the manufacturer but he hasn't emailed me back yet.Thanks Simon. Sorry, I can't seem to find any message from you, which will probably be why I've not replied :-) Did you try to get in touch via Tindie or from the RC2014 website? If you can try either the PM feature on Tindie or the contact form on www.rc2014.co.uk I'll look out for your message. The designs for a keyboard enclosure are available to download on Thingiverse http://www.thingiverse.com/thing:1548816 and can be quickly made by anyone with access to a laser cutter at a much lower price that I would be able to offer it for. However, it is actually quite nice to use it bare. It's simple, it's universal, it works! I got a Matrix version for use with my Minstrel (ZX80 Replica) by Tynemouth Software (elsewhere on Tindie), thanks for the discount! Unfortunately there's a problem, that makes me not want to give this a full five star review: The footprint of the switches is wrong. Apparently the switches that are in the kit are not the switches that were used in the design (and in the pictures), they are a little bit smaller. So you have to bend the wires out a little to get them into the holes, and this makes it really hard to keep the switches straight while you solder them. I found that the easiest was to mount the switches near the top of the footprint, so the top two wires are all the way in/through and sort-of straight, and the bottom two wires are at an angle. In the end, I managed to make my keyboard look great but I got pretty frustrated while I was working on it. It would be great if, for future customers, you would include switches that match the footprint (even if that makes the kit cost a bit more), or change the circuit board to match the switches. A tip for a future improvement: For use with the Minstrel, I had to short out the diodes because the ZX80 apparently had the diodes in opposite direction and Tynemouth provides those diodes on the Minstrel motherboard (that makes sense because the Minstrel can also be connected to an original ZX80 keyboard which obviously didn't have the diodes in it). It would be great if the diodes could be shorted out more easily, e.g. with a (non-populated) jumper block or SMD jumpers that you can just drop some solder tin onto. Also I would like you guys to agree on a pinout of the connectors; maybe add additional headers to make it easier to connect a Minstrel without the crazy twisted wiring. 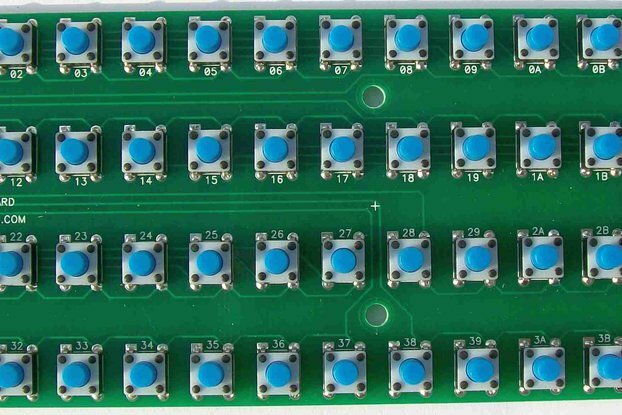 Perhaps an additional 2-row 14-pin or 16-pin header on both boards that line up with each other and connect them together with a short IDC connector and 1 inch of ribbon cable? You could also solve the diode problem that way: the dual row header could be attached "behind" the diodes so they don't even have to be shorted. Finally, that laser cut case looks absolutely great, and it would be great if you could offer it as an option on Tindie. And I would have liked to have labels with the ZX80 BASIC keywords and graphic symbols of course, but unlike the case, I can make that myself. Thanks for creating and sharing this project, and for the rest of the RC2014 "universe"! I definitely plan on making my own contributions in the future.